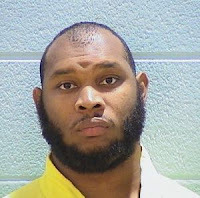 A 29-year-old man who was accused of slamming a Wrigleyville woman’s head into the concrete floor of her garage during an attempted robbery last October has received a sentence of five years probation in exchange for pleading guilty to one count of aggravated battery. Prosecutors said Ozzie Scott, who was on parole for armed robbery and aggravated battery to a police officer at the time of the attack, followed the woman into her garage in the 3300 block of Sheffield as she headed to work on the morning of October 10, 2014, and attacked her in her car. Police who responded to a neighbor’s call of a woman screaming for help found the 25-year-old victim on the floor of her garage with a bloody face and a broken eye socket. Scott was still on-scene. Scott, who had been released on parole just two months before the incident, was returned to prison shortly after being charged in the Wrigleyville attack. He’s now scheduled to be paroled (again) on April 8, 2018.